Choose your application below to determine the proper product. MMST-7 For a new installation on a 1985-2004 Mustang, with stock K-member. 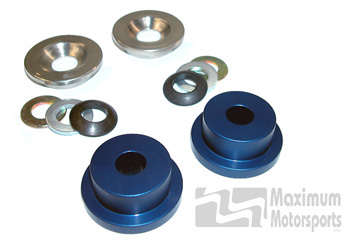 MMST-7.1 To upgrade previously installed MM Aluminum Steering Rack Bushings. 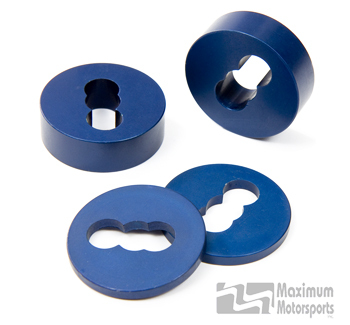 Fits only 1985-2004 Mustang with MM center-drilled aluminum rack bushings, and a stock k-member. 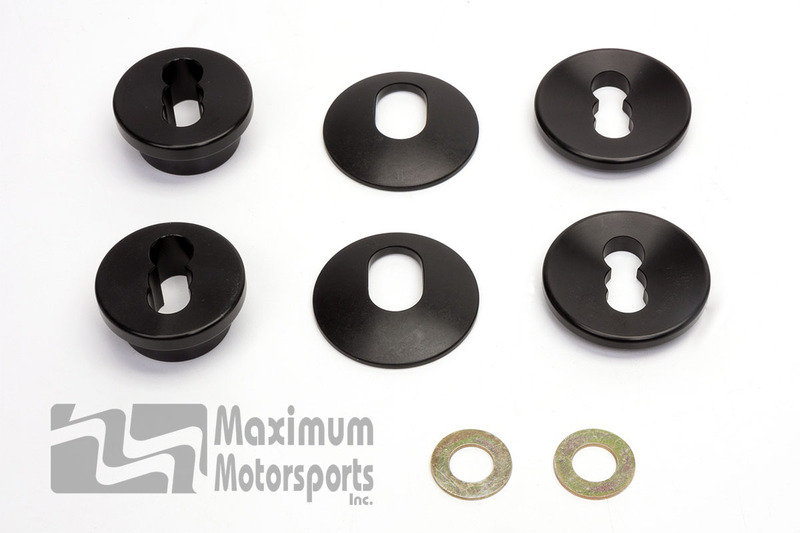 This kit may require modifications to older, previously installed MM aluminum rack bushings. MMST-6 For a new installation on a 1979-2004 Mustang, with MM K-member. 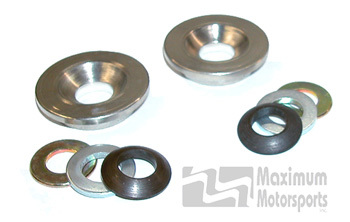 Click on the Tech Info button below for more technical information on rack bushings.